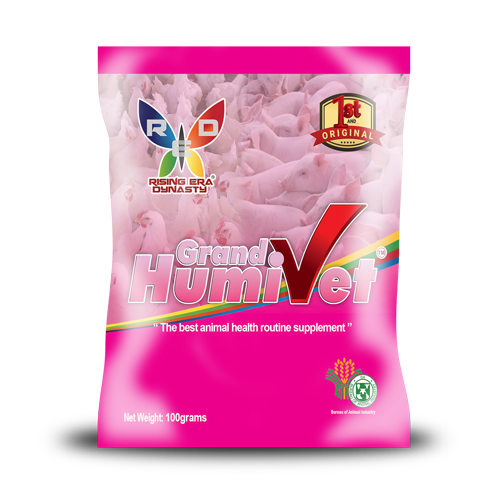 Grand Humivet is an Organic, All natural, non-toxic, Non- allergic supplement with chelated essential minerals and trace elements that improves the health and performance of poultry, piggery, livestock and aquatic animals. 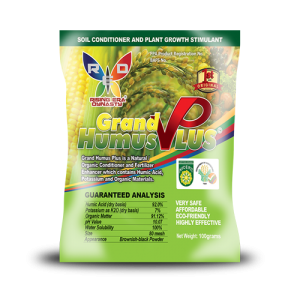 Grand Humivet is a sodium salt of humic acid obtained through the alkaline extraction of highly oxidized lignite (leonardite). It can be easily handled and transported. It has been explored in veterinary science and applied in livestock breeding for more than 30 years. It stabilizes intestinal flora through the fixation of microorganisms, toxins and harmful substances in the animal feed. Has the ability to adsorb and bind toxins, toxic residues and various heavy metals which are excreted afterwards. Provides a protective film on the surface of the gastrointestinal mucous membrane. Enhances the rate of cellular uptake of essential minerals such as manganese, Iron, zinc and copper. 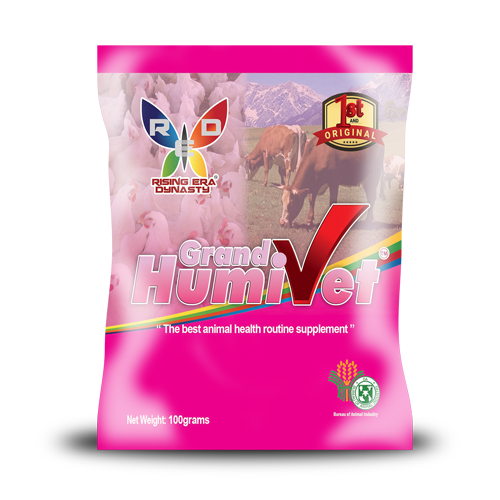 Increases the output of production and quality of milk, meat and egg. Increases animal’s appetite and feed intake, metabolism and growth. Reduces smell and ammonia emission. It reduces the risk of diarrhea in calves in and improves vitality. It reduces the risk of mastitis and high somatic cell counts in dairy cows. Reduces ammonia emission and smell.